The “Legend” Jumper by Slazenger Heritage is a genuine heritage product made from superfine two-fold (2/44) Merino wool yarn to create a unique knitted garment. 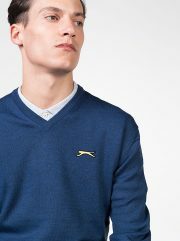 The clean construction of the sweater provides a look of distinction and a quality akin to handcrafted tailoring. 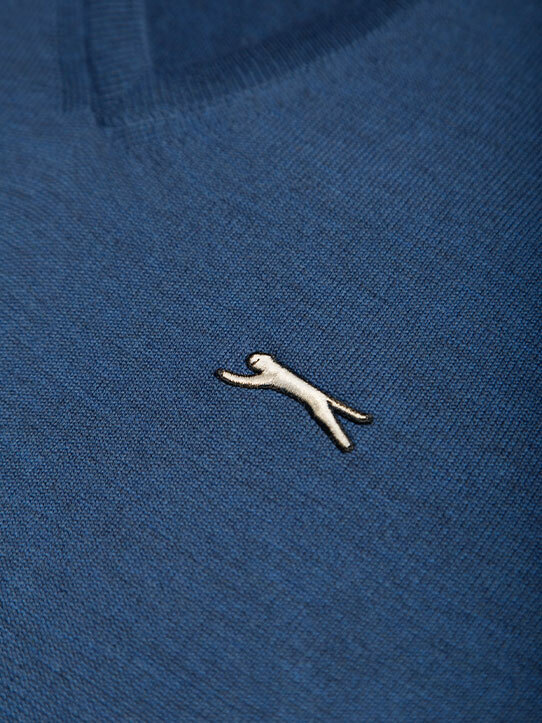 The Slazenger Blue Golf Jumper was inspired in one of the best American golfers, born in Kansas City, that was the number one player in the world according to McCormack’s World Golf Rankings from 1978 until 1982. The soft, luxurious hand of the sweater is further enhanced by unparalleled characteristics of performance and practicality, having excellent resistance to pilling and abrasion, whilst being machine washable and total easy care (TEC) treated for tumble-drying. With peerless colour brightness and fastness, together with timeless styling, the finished product has a longevity that is second to none. 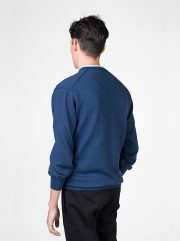 Sweaters made from Merino wool, are soft, have excellent fluidity, and are breathable, comfortable to wear, have great stretch recovery properties and excellent wear performance. Of all the many types of wool available, Australian Merino wool is regarded as the finest. The Merino wool fibre is also natural, biodegradable and renewable. 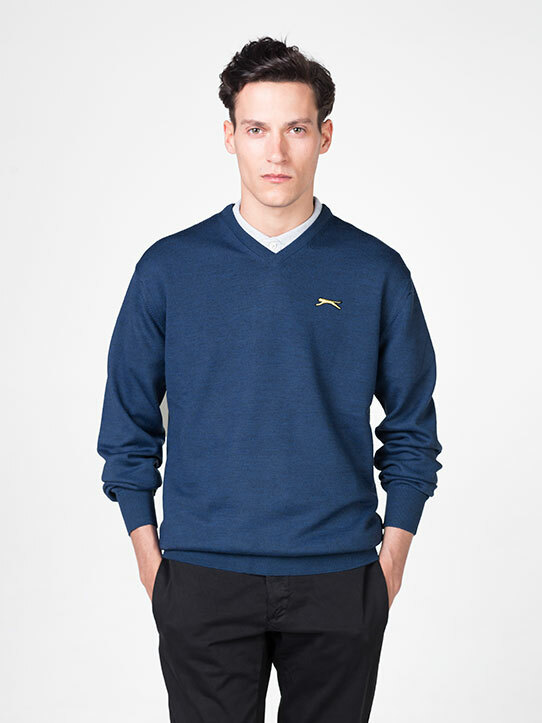 Merino wool is an excellent fibre for producing sweaters, as it not only offers breathability, but has natural stretch and recovery, great drape and outstanding wear performance. However Merino wool is a delicate fibre, and as with all things in life which are regarded as delicate, a little bit of care and attention will ensure your sweater will last for a very long time. 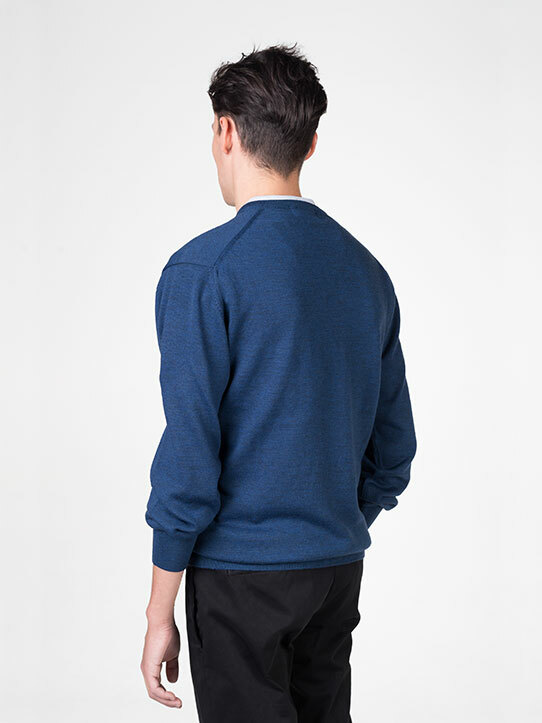 This manual provides advice and tips on caring for Merino wool sweaters. Wash with similar colors. Reshape while wet. Irrespective of the method of cleaning, it is highly recommended that the sweater is laundered inside-out. 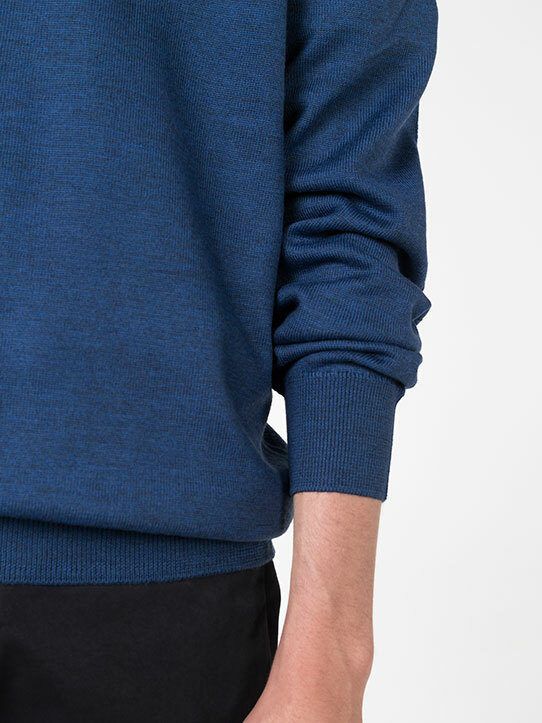 This will protect the sweater’s outer surface, and help to maintain its as new look for longer. 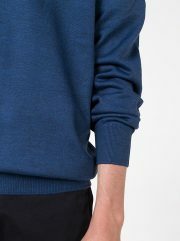 Although Merino wool sweaters are manufactured to a very high colour fastness to minimise the risk of colour bleeding or fading, it is recommended dark or brightly coloured garments are never washed with pale shades or whites. Please check here the shipping cost detail, if you wish. If you would like to return or exchange your item(s) please email ventas1@selecmoda.com stating what you would like to send back and your reasons for doing so. Cotton Project S.A.U. will then email you a link to book your free collection with your local Fedex or Nacex Courier. Made on 21 gage knitting machine using special 2/44 pure fine 100% merino wool. Entirely natural, is obtained from a specific breed of sheep which was originated in Spain around the 12th Century. Contains an active fibre that reacts to changes in body temperature, making it an effective temperature regulator maintaining higher comfort levels for the wearer. Can absorb large quantities of moisture vapour and then move it away to evaporate into the air making it very breathable. The garments are sensuously comfortable against the skin and the fine fibre causes no irritation or prickle. Totally Easy Care (TEC) treated.